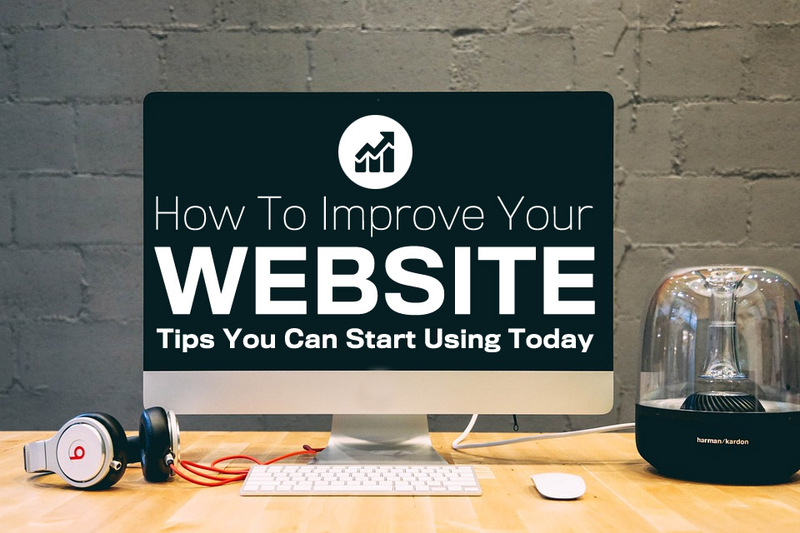 How to Improve your website today. Website are tough to get correct and sometimes they offer very little when they are in the wilderness of a million other sites trying to stand out. Here are 10 simple things you can do to make your website better for both you and your customer with a little effort. 10 Simple Things To improve Your Website Today. Who Stands Behind Your Promises? Credibility in both your website and business is key to building customer trust. If you say something on your website stand by it, or don’t have it on your site. There’s nothing worse than broken promises. This is one key way to improve your website today. Show your existing customers on your website, Include case studies, reviews, and testomonials of your existing clients. Allowing people to see your satisfied customers creates trust and break down some of the walls to them buying from you. Make sure you don’t have any broken links, or images. If a customer takes time to tell you about a problems act on them ASAP. Also thank the person for taking time to tell you about it. Is your content easy to scan read? You should break it into manageable chunks, and emphasize key facts with bullet points. There is a wealth of information on the internet, you have to make your content accessible as possible. If you have a website you’re likely to have Analytics software build in. However, when was the last time you checked it or acted on the information you receive? Do you know how many visitors you average a day? What is your bounce rate? Or even where you get your visitors from? All this can be found in Google Analytics. Start now using it and improve your site. Treat Your Sales Leads Like Gold Dust. Leads Are Like Gold Dust. Why should people buy from you, what is your unique selling point (USP)? If you don’t know how could your customer know? List all your unique selling points on your website. Keep them simple and informative. Show yourself and your company. Would you buy from a faceless website you never heard of? If you show yourself and be open, people are more likely to interact with you. Is there a product or service you can offer for free? People like freebies and they are a great way of getting customers to contact you. Got a really complicated product or service? Keep it simple and be upfront with it. If you can break it down into packages and list the benefits of each package. That is the best way to break it down into manageable chunks for your customers. Getting your website right is an ongoing project you need to test, measure and adapt it constantly. These tips will help you improve your website today, however that doesn’t mean it’s finished. Need to work on your website take a look at our website design packages.